Over 8,300 location owners, 20 locally, are already taking advantage of this money making opportunity. By hosting APA teams, they are watching their businesses flourish. 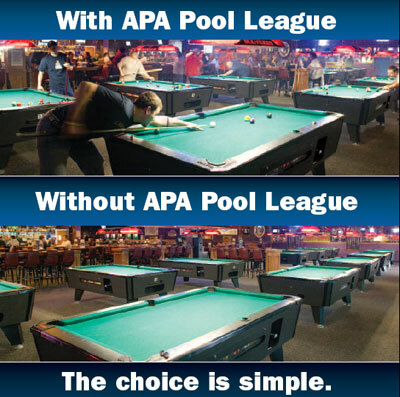 If you are a pool hall/bar/tavern owner in the Raleigh, Durham, Chapel Hill (or surrounding areas) in North Carolina and would like to host the APA, please contact us at info@apa-raleigh.com.